Drinking the clear Chinese liquor baijiu with hotpot is a rite of passage for any expat in China. That fruity smell, the burn in your throat, and the look of admiration from the Chinese people you’re drinking with… it’s all part of the baijiu experience. Once you’ve had the experience and the novelty wears off, however, most expats in China slow down or eliminate their baijiu consumption. Like chicken feet, it’s not a facet of Chinese tradition that has caught on with most expats. Months ago I heard that there was an American in Chengdu who was authoring a blog about baijiu, though. The blog, named 300 Shots at Greatness: A Race to the Bottom of the Bottle, is a record of the baijiu journey that Derek Sandhaus began just over a year ago. 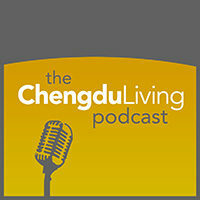 I thought it would be great to ask him a few questions about baijiu and his time in Chengdu. Who are you and what’s your blog? I’m an American writer and editor who has been based in China since 2006, and in Chengdu since 2011. My past titles have included Tales of Old Peking, Tales of Old Hong Kong and Décadence Mandchoue: The China Memoirs of Sir Edmund Trelawny Backhouse. Shortly after arriving in Chengdu I began researching Chinese alcohol and drinking culture, which is when I started my blog 300 Shots at Greatness. The blog was initially a way to publicly test the unscientific hypothesis that it takes 300 shots of baijiu for one to acquire a taste for traditional Chinese spirits while educating myself about different types of Chinese alcohol. It turned out that it took significantly fewer attempts for me to begin enjoying the taste and experience of drinking baijiu, but I decided to keep the blog going as an informational resource in the hopes of inspiring other foreign drinkers to take up baijiu drinking. How long have you been in Chengdu and what was your introduction to Baijiu? I arrived in Chengdu in late 2011, having spent all of my previous time in China based in Shanghai. It was in Shanghai in 2006, while I was working as an English teacher, that I had my first taste of baijiu. Someone brought a couple of bottom-shelf bottles to a work party as a gag gift. It was successful in the strictly literal sense. What is it about baijiu that you’re drawn to? How did you fall in love with it? Although I have reached a point where I do enjoy the taste of certain brands of baijiu, I find that I enjoy the experience of drinking baijiu in its traditional context more than the drink itself. Baijiu is always consumed over dinner with friends, family, colleagues or business contacts and it’s always consumed in a ritualized fashion. Learning the rules of the banquet, as well as the historical origins and symbolic meaning of the various aspects, has allowed me to better appreciate the greater context. But more than that, what’s helped me to fall in love with baijiu is that it breaks down the (unexaggerated) cultural barriers that exist between the Chinese and their foreign counterparts better and more quickly than any alternative I’ve thus found. In my experience, Chinese culture doesn’t encourage people to let down their guard easily, but when you’re downing shots of baijiu, you don’t really have a choice. The old cliche “In vino veritas” is apt in this context. How would you describe baijiu to someone who’s never had it before? Literally, baijiu means “white spirit.” It’s the Chinese word for all traditional liquors, and refers to a category of drinks rather than one specific drink. In general baijiu is characterized by a slightly sweet, citrusy taste that can sometimes be at odds with the fiery sear of its high-alcohol content. The taste can vary quite dramatically from one type of baijiu to another, however, and it tends to be a bit smoother at the mid-to-high range. Those who have been less kind have described it as tasting like hydraulic fluid, paint thinner and a number of other unsavory descriptors. This is probably influenced by the high levels of fusel oil and esters, which give it a taste unfamiliar to most foreign palettes. What’s your favorite baijiu? What do you recommend newbies try first? There are a number of excellent baijius that I would recommend for beginners. (And I would recommend trying several different varieties of baijiu to get a feel for what one likes best.) For something good, inexpensive and local, I would recommend Luzhou Laojiao’s Touqu (??????). That one’s classified as a strong-aroma baijiu. For something lighter (taste not alcohol), I would recommend trying Xinghuacun’s Laobai Fenjiu (???????). In the rice-aroma category, I’m a fan of Sanhuajiu’s Lao Guilin (?????? ), although it can be difficult to find outside of Guangxi Province. 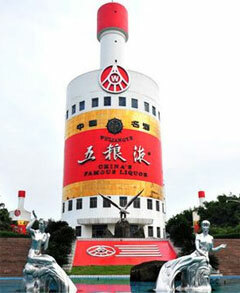 Most beginners have trouble with sauce-aroma baijiu, but for the brave and curious, I would start out with Maotai Town’s Laimao (????? 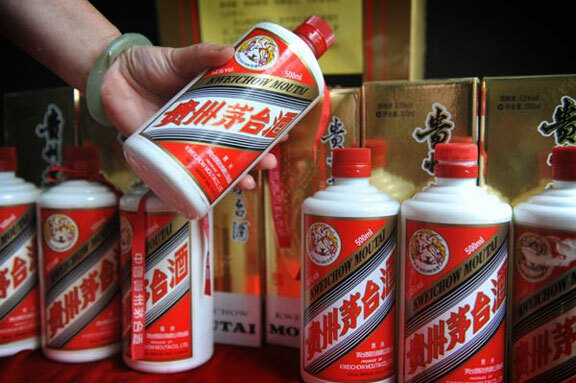 ), not to be confused with the more famous and outrageously expensive Kweichow Moutai (????). When’s the best time to drink baijiu? Dinner and lunch are both appropriate times to drink baijiu, and Chinese food is so varied that there isn’t really one dish or ingredient that is considered more appropriate than others. I personally like to drink strong-aroma baijiu with Sichuan food, as I think a region’s cuisine tends to pair nicely with its alcohol, but I may just be being sentimental. You’ve said that Chengdu is at the heart of China’s “baijiu belt” – what does this mean? Well that was a bad pun – not to mention a mixed metaphor – on the American expression “bible belt,” referring to the part of the country (from which I hail) famous for its firebrand evangelism. By baijiu belt, I’m referring to the area of China, basically eastern Sichuan and western Guizhou, that produces more baijiu than anywhere else in the country. This region produces an astonishing amount of baijiu, something like seventy percent of all the baijiu in China. Where’s the best place to drink baijiu in Chengdu? Any funny drunk-on-baijiu in Chengdu stories that you can share? My research on baijiu has taken me to all corners of China and introduced me to fascinating people in all walks of life. For more about them and my time drinking with them I’d like to refer your readers to checking out my blog and forthcoming writings on the subject. I understand that you’re working on a book. What’s it about? My upcoming book is the story of China over the past several thousand years, as told through its alcohol and my personal experiences. It’s been a hell of a journey and I think a lot of what I’ve found will surprise people. I’m still working out the publication details, so there’s not much news to share about it at this time, but I’ll announce something on my website when the time is right. If you have any thoughts on baijiu or China’s drinking culture, leave them in the comments below! Q: When’s the best time to drink baijiu? A: When you don’t have anything important scheduled for the rest of the day. The alcohol content of baijiu is really high, something like 50%. Super easy to get drunk on it. Hotpot, or with a meal in general, is the perfect time to drink it in measured quantity. If you went to the club with a bottle of baijiu or something I could see that night ending in mayhem. Man I have had so many horrible baijiu experiences. Covered in all sorts of fluids, locked out, beat up, ridiculous and horrible. But these days it gets a bit better. I can hold my baijiu now and I have a good time. Reminds me of the early days, drinking just a thimble full of orange flavored baijiu. Took me about 3000 shots though. I think I’ve been there for one or more of those. Having those kind of nights is how you earn your China Stripes. You don’t want to repeat them too often, though. Do you have any idea how much baijiu is consumed in China annually, and/or what percentage of overall alcohol consumption in China it constitutes? Consumption is hard to quantify because much of the baijiu sold in China, particularly at the high end, is gifted. 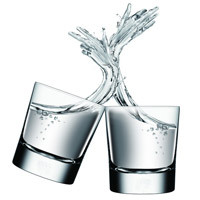 Some figures exist for production, putting the annual output somewhere from 10 to 17 billion liters per annum. 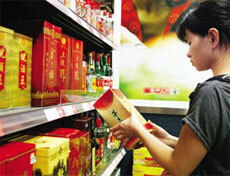 More beer is consumed in China than baijiu, but baijiu sales constitute about ninety-nine percent of all spirits sales. Thanks for the info. We keep an eye out for your future publications! I drank baijiu pretty regularly when I was traveling around the country in 06/07 and quickly got a taste for it. What I learned is that good baijiu can be very nice while cheap baijiu is the worst thing I’ve ever tasted. My palette was never developed enough to really understand what it is about the good or bad baijiu that makes it so, but baijiu is part of the male bonding ritual in China like sharing cigarettes. It’s cool that Derek mentioned that in this interview, because that’s something I noticed also. If you have a business deal or relationship with someone important in China, bust out the baijiu and see your guanxi points go up. A few weeks ago I saw Jacob of Natooke drinking baijiu at a social outing. The number of times I have seen that — a lone expat drinking baijiu in a social situation with other expats — I can probably count on one hand. Props. Not sure if I should be proud or concerned by the mention. Guilty. I like baijiu. In fact the mention of it sometimes inspires me to have a sip. I find it surprising that so many foreigners have a hard time developing the taste for it. Granted it’s unlike most hard alcohols accessible in the West, but it’s unique and most people agree has a very distinct follow up (buzz). Not to mention for quality it’s at a much more manageable cost (don’t dare say you pay 150元 for a bottle of Jack Daniels solely to savor the caramel oaken characters of a well-aged whiskey). Regardless, you think more people would take to the local drink like they take to the local food. I read through your blog and was fascinated the amount I learned about something I already know. What? I mean about the different styles, the processes involved in making them and which brands do the trick. I’ve got to say I was a bit sad to find I’m a 东北人 and favor the light aroma stuff (I do. 二锅头,小刀） but I’m only a recent Chengdu transplant and know little about the local flavor (although I do agree that 泸州老 does it right without shelling out too much). Keep it up, I’m looking forward to continuing to read what you’ve got to say about the lady in white! A year ago when I could hardly speak any Chinese and was traveling through Guizhou I got invited to several dinners with locals. Of course I “had to” drink baijiu and it’s indeed the easiest way to make friends with other males. Besides that it also makes the converations a lot easier. The only thing you have to hope for is that you can hold your liquor better them then, or you won’t be able to remember the rest of the evening. And I can second that Jacob is the only foreigner I’ve seen drinking baijiu by himself. Always thought of adding a baijiu cocktail to the Pug menu…the rum bai tai tiki cocktail. Would it sell? Haha… Great interview although I would prefer your head shot to be of you after a baijiu and hot pot slurp session. Another great take on baijiu is mixed with hot green tea. Actually, it’s the only time I’ve drank baijiu in a cocttail that I considered enjoyable. Well that or mixed with beer but I suppose at your restaurant that sort of coctail might cause some sort of incident. Wanting to kick the night up a notch, we replaced the beer in beer pong with baijiu… what noobs we were. That must have really kicked it up a notch. I commend your bravery. We have a game at the shop that requires hooking a metal ring that’s tied to a string hanging from the ceiling onto a hook at the far end of the shop. One night, bored, we converted the game into a drinking game. We gave it a shot with baijiu but within about 3 rounds of the game realize it was an enormous mistake. Fine line between bravery and a hillbilly’s last words. I dunno what the content of his blog is since wordpress is blocked in china, but a goal of 300 shots of baijiu per year I consider as ridiculously low, this amount of baijiu we were able to dink with my ex-colleagues (all foreigners, sometimes joined by fellow visitors of cheap restaurant where we were enjoying it) during lunch breaks in work in less than 2 months, although we prefered to drink weakest 38% baijiu (transparent bottle, white tag with black writing). I don’t think he ever said that he’d take a year to complete the 300 shots. In the original post on his blog, Derek states: My mission is plain: drink 300 shots of baijiu or die trying. From there, I suppose he gained a taste for baijiu and continued on the path. You are correct. 300 shots wouldn’t be too many over the course of a year, it only took me about six months of sometimes casual drinking to get that far. The idea was to test the 300-shot theory, which is a one-off thing. Now I devote my blog to various baijiu-related topics of interest. I hope you’ll check it out sometime (get a VPN, they’re cheap and useful!). A hotpot and a shot of baijiu sounds so good right now. 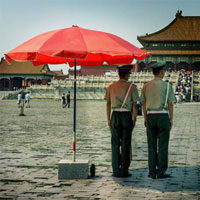 This article makes me long for China. Hope to get there soon. I just read this post after drinking heavy amounts of baijiu for lunch and dinner for work. The lunch baijiu? Not so good. The dinner baijiu? Excellent. I spent the afternoon with those little baijiu burps. Those of you familiar with the drink may or may not share my assessment that those burps have a flavor of Cheerios breakfast cereal and fresh, chopped chives. That’s my opinion, and I’m sticking to it. I have developed a taste for baijiu. But what I really love about it is the memories of drinking with old friends over hot pot meals containing mostly ingredients foreigners squirm over. Sitting in a shoddy Old-Style place that focuses more on flavor than decor, filling my belly with oil and fire on a hot summer night.